rem: Hullo Gary, and welcome to The Nest. Tell us three things about yourself that no one knows. GARY: 1. I’m a decent cook as long as it’s five ingredients or less. I’ve seen every episode of Catfish. My first real job training was for the IRS. Don’t hate me. rem: Cooking is good; Catfish I only know as something to cook… And IRS, what a fabulous source for story ideas and plotlines!!! GARY: If I’ll be eating it outside, burgers. rem: Of course! Coke or Pepsi? GARY: Coke, because I’d like to teach the world to sing in perfect harmony. rem: Best reason I’ve heard all day! TP: Over or under or monster? GARY: Please don’t tell me there are monsters in my bathroom. rem: You didn’t hear it from me. Fishing or hunting? GARY: Neither. I can’t even kill a bug without remorse. rem: Then who, uh, catches those catfish to fry??? Vacation: beach or mountains? rem: Ohhhh yessss!! All the roller coasters!! rem: Do you have a favorite Bible verse? And why is it a favorite? GARY: Revelation 21:4, about there being no more death nor crying nor pain. Who could ask for more? rem: What a glorious time that will be! If you could spend an evening with one person who is currently alive, who would it be and why? GARY: Paul McCartney. I have so many questions about so many songs. It would be the most exhausting night of his life. rem: I love Paul McCartney! And Wings at the Speed of Sound! What do you think is significant about Christian fiction? How has being a writer / songwriter / producer impacted your relationship with Christ? GARY: That there is a genre dedicated to those who write it and read it testifies to its popularity and power. For other writers who just happen to be Christian, writing for the general market is a way to reach secular readers who might avoid any religious branding. Whichever your calling is, the privilege to be a light to the world through one’s talents is a gift that I’ve come to appreciate more each day. rem: Yes! Be a light in the darkness. I fall in the latter of those, and call my genre Faith Fiction. When reading, what makes or breaks a story for you? Your fiction pet peeve? GARY: Creative, evocative wordplay draw me in. What turns me off is when the writer has an obvious agenda that overshadows the story. Even when I agree, it’s poor writing. rem: No kidding! Even in Christian Fiction, some stories are overwhelming with the message—which prompts me to put it down and not pick it back up. Which is more important: plot or characters? GARY: I’d say plot. Even a great character gets boring if the story doesn’t go anywhere. But many a weak protagonist (Sleeping Beauty, for one) has been saved by a good plot. rem: Interesting. And very good point. What are you reading right now? GARY: Understanding Show, Don’t Tell (and Really Getting It) by Janice Hardy. It is absolutely brilliant. rem: Nothing so boring as a bleh info dump in the middle of a story. Tell us a little about your creative journey. How did you get started? GARY: I grew up in a family where everyone was a musician or an artist, or both. I was one of the boths, and added a love for writing to the mix. After winning a few art contests, I planned to become a cartoonist. But a career in broadcasting has kept me more focused on the writing and the music. rem: You wear a lot of hats—writer, songwriter, and producer. Which came first? Which is dominant? GARY: Songwriting definitely came first. I have a recording of the first song I wrote when I was about ten, a frantic piano tune that would only be at home in a silent movie police chase. Of the three you mentioned, music comes easiest to me, whether playing or composing. rem: I miss having a piano, and may be a tad jealous… As a singer and musician, I am fascinated by your eclectic taste in music, and songwriting. What are some of your favorite jingles or parodies you’ve written? rem: You are an “avid analyst” of entertainment. What does that mean and what does it involve? GARY: It means I can’t just sit and enjoy movies or music! I do enjoy them, but I’m also deconstructing every detail to figure out what makes it work or not work. I’ve learned more from picking up on mistakes than I’ve probably learned from any textbook. This media junkie can’t get enough of movies and music because it’s a continuing education that makes for a fascinating study. rem: Oh.My.Goodness, yes! I tend to do the same thing! What is your role at Southern Writers Magazine? GARY: As Creative Director, I designed every page and did much of the editing and some of the writing. I actually resigned this spring because my broadcasting work had accelerated to the point where I just couldn’t keep up with both, much less tend to my own projects. Southern Writers is a wonderful publication and I enjoyed being part of its first seven years. rem: I sure enjoy the posts there! What is your favorite part of working with authors on the magazine? GARY: Over 1000 authors have been in the magazine, and I made lots of friends who I continue to stay in touch with. Learning from them and experiencing their passion for writing recharges my own. rem: I love-love-love the writing community, and the friends I’ve made and continue to make. You have written short stories in anthologies. Where might we find some of your stories, and what is one that stands out in your memory? Why is it significant to you? 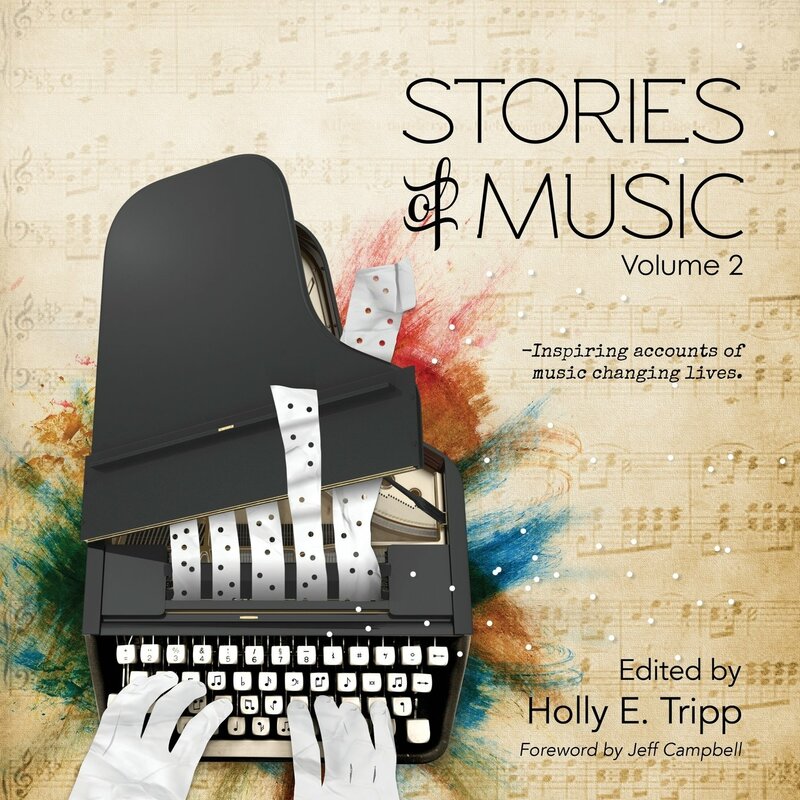 GARY: Most of my short stories were in local anthologies that are out of print, but one called “Family Tree” appears in Stories of Music, Volume Two, which is available on Amazon and includes an audio version. That story is special to me because it’s my true story about a disconnected family which music helped reconnect. rem: Oh my! I’mma have to find this and read it! I’m all about family. (and more than a little bit familiar with disconnected / dysfunctional family… ) What do you enjoy most about being a writer / songwriter / producer? GARY: I’ve always loved taking disparate things and rearranging them into something new and cohesive. A good example would be the Oscars Best Picture parody I create every year for the Parody Paradise YouTube channel. Writing new lyrics within the confines of an existing song (in this case a Best Song nominee) while describing each of that year’s Best Picture nominees in a succinct way, selecting and editing video clips to fit, and attempting humor all at the same time is a huge creative challenge I look forward to every February. rem: How fun is that! What other projects are you working on? 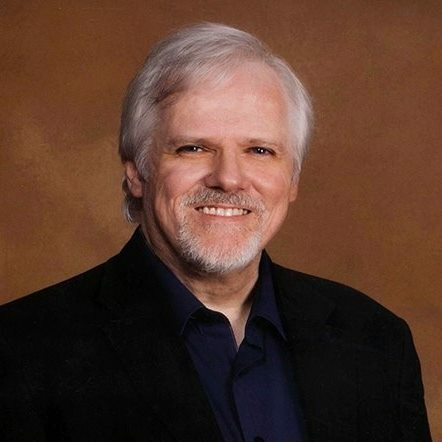 GARY: I voice and produce the radio and TV spots for Christian recording artists on tour. Right now I’m doing a lot with Mark Lowry and David Phelps, who are always performing somewhere. I also voice audiobooks on Amazon. 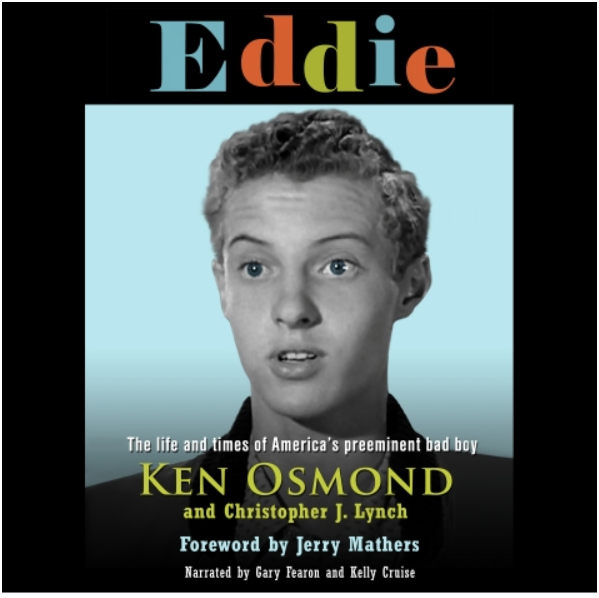 The most fun one so far was the autobiography of Ken Osmond, better known as the infamous Eddie Haskell on Leave It to Beaver. rem: At this point I’m tempted to ask if there’s anything you haven’t done… You have a new book coming out. Tell us a little about it? GARY: I have a novel and a collection of short stories in the works, but on the front burner currently is a nonfiction book offering a unique approach to songwriting. I’ll actually be doing a related presentation soon for the Memphis chapter of ACFW, called “Secrets of Song and Story Structure”. rem: Memphis ACFW will enjoy that, for sure. What is YOUR favorite part about songwriting and why do you want to share it? Why should we read it? GARY: Having been privileged to dabble in most of the creative arts, I find music the most personally satisfying. I feel sorry for anyone who doesn’t know the thrill of expressing oneself through words and/or music. I want to help others by giving them a shortcut to connecting with their elusive muse. rem: As a singer and musician and dancer and actress and an author, I know that thrill very well. Where can we find you online? GARY: My website is www.garyfearon.com, with too much info about me but also some audio and video that I hope is entertaining. GARY: Yes! I’d like to invite everyone to please join my mailing list through the website. You’ll be the first in line for songwriting secrets and free instructional videos. rem: Awesome, Gary, thanks for the invite! On my way there now… Thank you so much for chatting with us at my little nest today! GARY: Thanks for the invitation, Robin! Much continued success to you and to everyone who took the time to read this! This was a fun, interesting read! Well done to the pair of you! thanks, Claire! so glad you popped by today!